Rewards have been sent out and they can only be redeemed once! So buy what you want!!!!! Hello players of ExplodingPvP! I am here to tell you about the state of the server. We are currently doing exponentially well in donations, we plan on reinvesting this money into the server (more ram, plugins, builds, advertisements, etc). 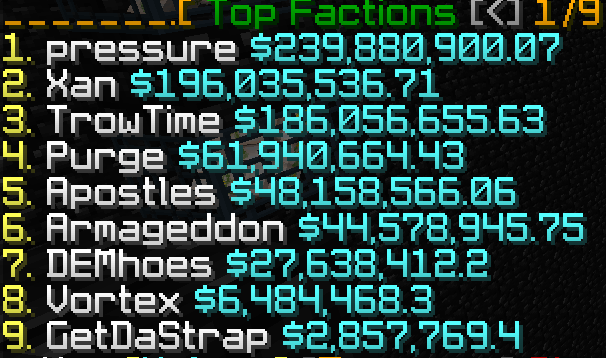 The first 17 days of ExplodingPvP have been amazing and there is only more to come! Everyone please take everything out of your Playervaults (/pv) we are going to be adding a new playervaults plugin because the current one is glitching the spawners and turning them into pigs. Store all your spawners in enderchests if possible. Hello players of ExplodingPvP! I am here to update you guys on the current state of ExplodingPvP. This has been a great first 3 days of the server and I can't wait for the upcoming seasons! Lets get into the update. - Crates: Ranks, blast pickaxes and much more added to crates. Staff will be picked this Saturday the 15th at 4 PM EST. We will be picking 2-3 players for the Helper rank. - COUPONS MUST BE USED 3 DAYS AFTER BEING ISSUED. - Sway and I are discussing payouts. Will be posted soon.